A real 'wow, amazing' kind of book. 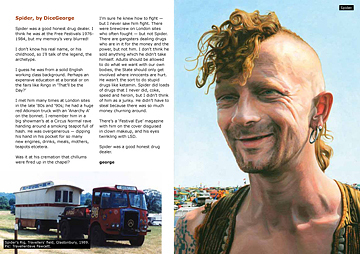 A4 landscape, full colour, around 200 pps packed with over 600 pics, artwork, images and hundreds of tales from the festivals, park-ups, roadsides, sites and conflicts with police. It's a full-on roller-coaster ride. Good times, bad times and ones in between. Even the contributors are saying: "Can't wait to see it all." Joe Public: "It's wicked. It's a corker." 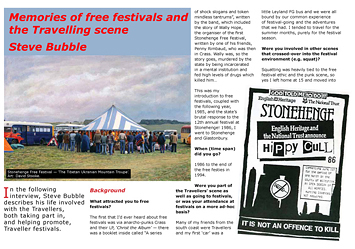 Steve Bubble remembers,"The sheer excitement, anything could happen andoften did." The year after the Beanfield, Taff the Photo reminisces: "After a few hours stand-off, the police started arresting everybody for obstruction of the highway, despite that it was them that had blocked the road in the first place. This turned into the largest mass arrest in UK history, about 900 I believe." 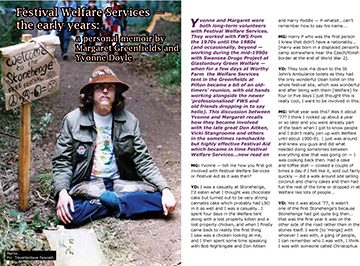 Margaret Greenfields, remembering helping organise the Festival Welfare Services: "They were great days – we did some fantastic things – and I don't regret a moment." 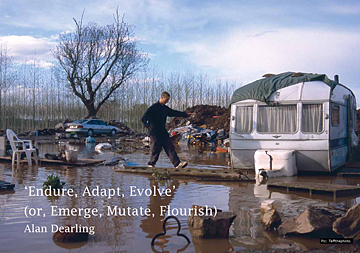 Alan Dearling has worked with the other contributors over the last four years to gather the contributions in (and write his own). 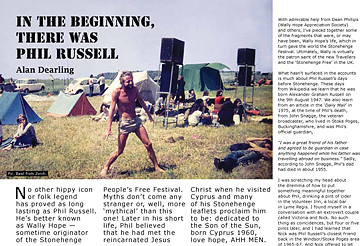 Broadly, 'Travelling Daze' kicks off with the people, places, festivals, and some of the music from the hippy late-'60s through the free festivals of the seventies and early eighties. We meet Wally Hope and Sid Rawle. Read their own words, many of which have never been seen before. Add a spice of punk and some reggae herbs to the mix. Then stir in some road protestors, real mud, and more than a few eco-warriors. Buzz: "Everyone looks after each other. It's just like a massive family...You just can't beat it...You own your own home...I love it. Only way I know really." Along came rave, and with it, plenty of techno-rebels. More new people; more new Travellers. The Travellers were loathed and reviled by Maggie, and successive governments made every attempt to criminalise the travelling life style with Criminal Justice Acts in 1986 and 1994. They failed. 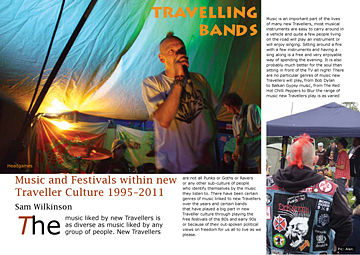 Many of the older new Travellers are still sharing their skills, attitude, madness and mayhem. The Tribes are strong. They've mutated and are pretty much flourishing. And they are still with us in the midst of the current festival and party scene. Years in the living. Now you can share it; in Living Technicolour, the lives and times of many of the UK's most colourful characters. 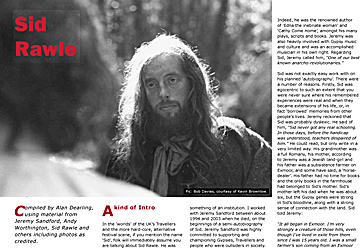 David Stooke: Traveller artist. Includes Green Lane by Reg Desborough, Spider by DiceGeorge and Phil the Beer by Andy Hope. 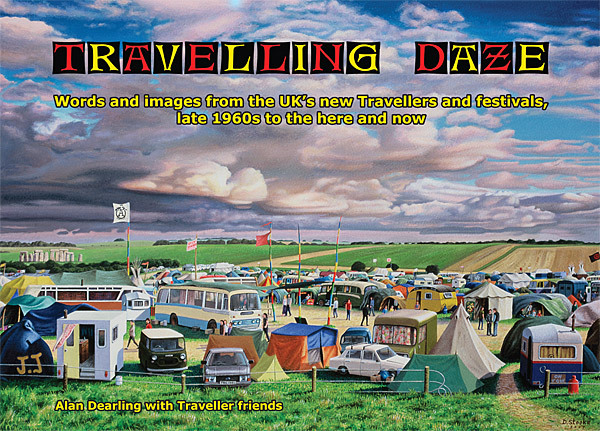 More artwork from David Stooke, Joe Public, Gubby and additional pics by many people, especially Taff the Photo and Traveller Dave Fawcett, and more including those from Chazz Pink; Nigel Ayers; Fiona Earle, Rob Large; Flash Harry; Frank; Carol Waller, Graeme Strike, Matt Smith and other travelling friends. Dedicated to all of the UK’s Travellers. 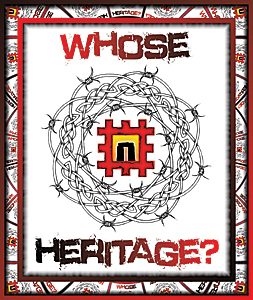 and those who are still keeping the faiths.